Here you’ll find strategies to help you save energy during the spring and summer when the weather is warm and you are trying to keep your home cool. Some of the tips below are free and can be used on a daily basis to increase your savings; others are simple and inexpensive actions you can take to ensure maximum savings through the spring and summer. For more ways to stay cool while saving energy, check out our Energy Saver 101 infographic, covering everything you need to know about home cooling. If you haven’t already, conduct an energy audit to find out where you can save the most. Also check out tips to save energy during the fall and winter. Or see ENERGY STAR’s guidelines for programmable thermostats. Install efficient lighting that runs cooler. Only about 10% to 15% of the electricity that incandescent lights consume results in light—the rest is turned into heat. Learn more about strategies for efficient daylighting. 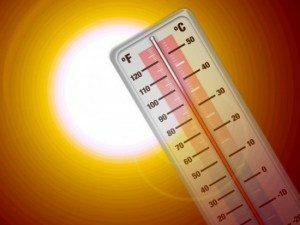 Learn more about avoiding heat buildup in your home.